The labor market grows especially in China. 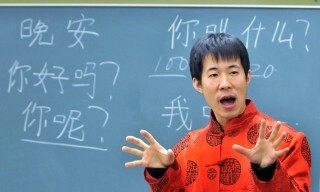 More and more Chinese on the other hand leave China to work or study in Europe or the US. Of course a basic language competence is needed. But also a well based experience in the foreign language is needed. To find this experience you have to work in the foreign country. This is just easy to know and to follow. And yet there is a big difference in the people`s interest and the interest of firms.